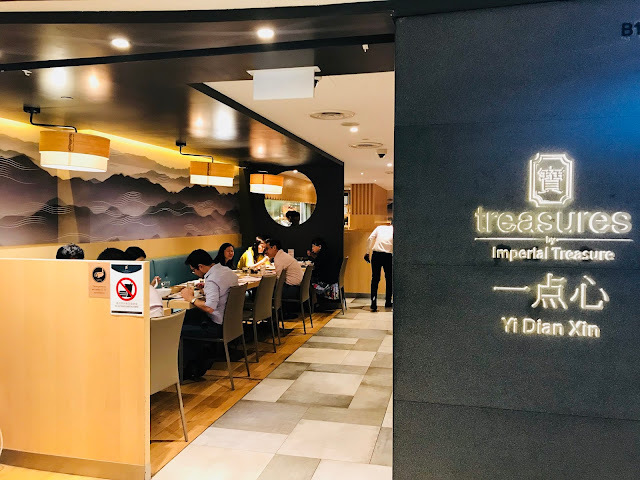 I see a long queue outside this restaurant at the back of Raffles City Shopping Centre B1 every day during lunch hour and I was curious what is so special about this restaurant. 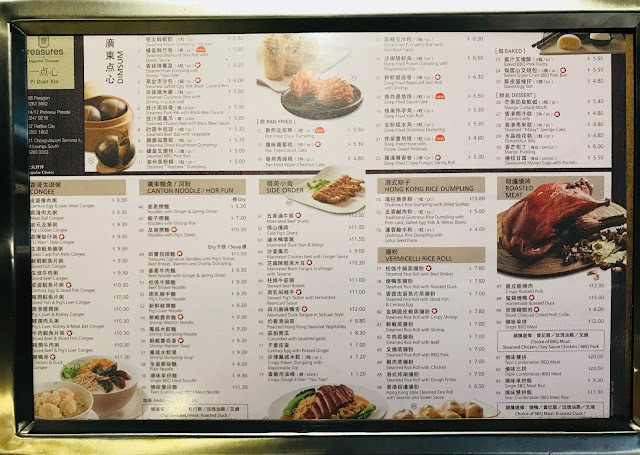 One day, my curiosity got the better of me and a look at the menu reveals that this is a new dim sum concept restaurant by the Imperial Treasures Group called Yin Dian Xin. Being the dim sum lover that I am, I brought my colleagues here for lunch a few days later. 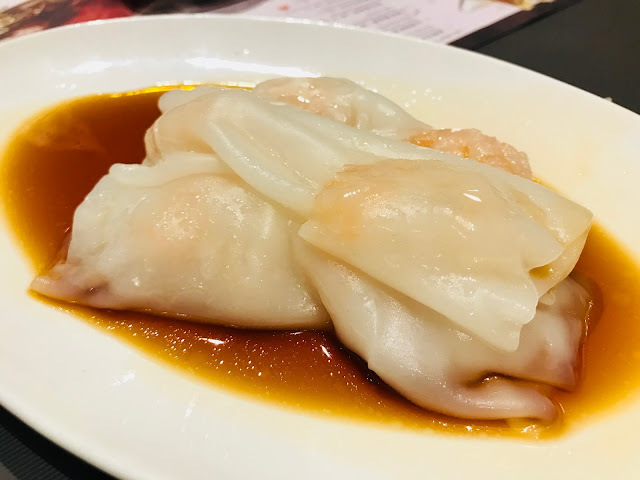 Steamed Prawn Dumpling “Ha Kau” [$6.80 for 4 pieces] is one of the most classic of Cantonese dim sum, but the ones here are downright disappointing. The crystal skin are all broken and I can hardly taste any prawns. 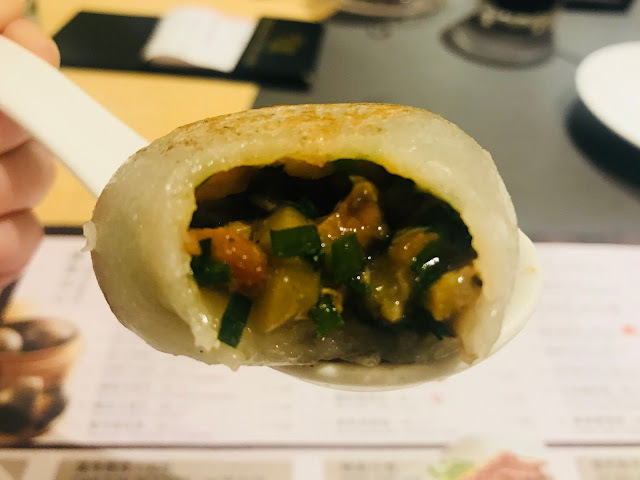 Each of the Steamed Pork Dumpling with Shrimp “Siew Mai” [$6.20 for 4 pieces] are so pathetically small and yet it is supposed to be one of the recommended dish at Treasures Yi Dian Xin. They are a far cry from the huge juicy siew mai from Mouth Restaurant. 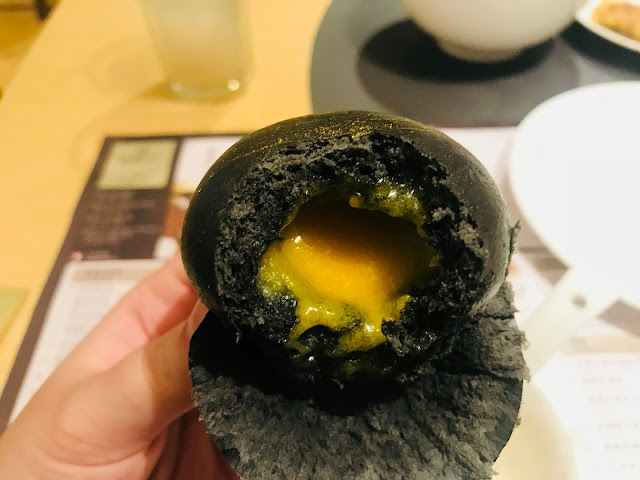 Steamed Salted Egg-Yolk Black Custard Bun [$6 for 3 pieces] is another signature dish of the restaurant and I think it deserves the title. 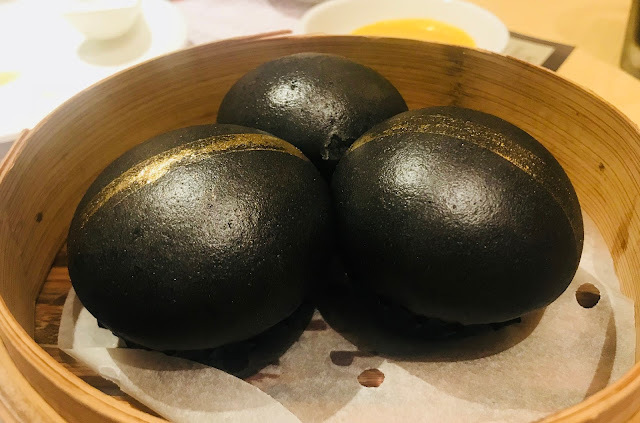 The black bao skin is soft and fluffy and the creamy salted egg custard inside is flowy with rich saltiness and briny texture. This works very well as a dessert as well. 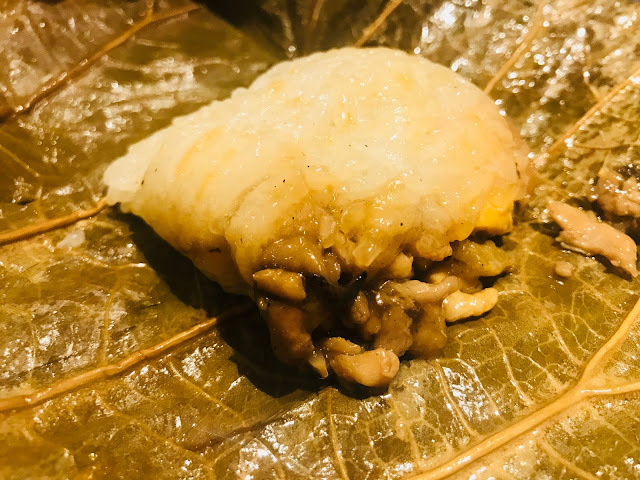 Another classic dim sum is this Steamed Glutinous Rice with Shrimp in Lotus Leaf [$5.80]. I like that the glutinous rice are thoroughly-cooked with the shrimps and chicken pieces. The lotus leaf that is used to wrap the glutinous rice gives it a light fragrance which accentuates the taste. I like that the portion is not too big, so you don’t feel very full after eating it. 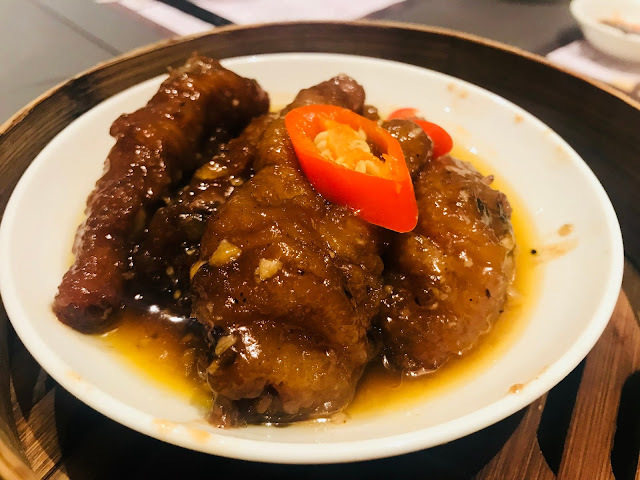 I personally feel that the Steamed Chicken Feet with Black Bean Sauce [$5.30] is perfect as it is, but my colleague feels that it will be better if it were a little softer. The black bean sauce has been well-marinated into the chicken feet and the long hours of steaming turns the unassuming chicken feet into a dish full of collagen. 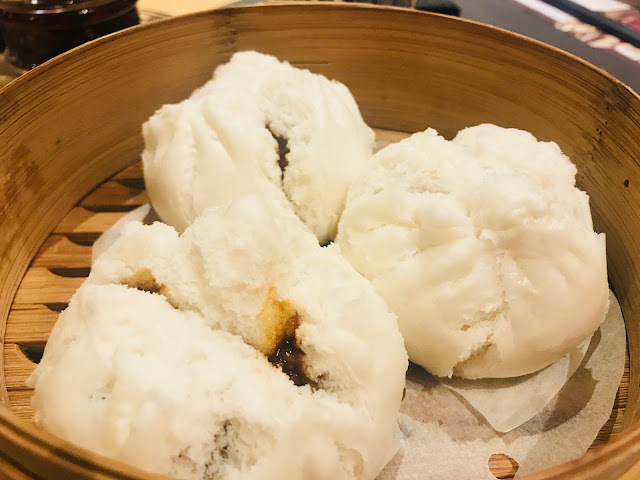 Treasures Yi Dian Xin’s Steamed BBQ Pork Bun [$5 for 3 pieces], more commonly known as char siew bao, does not disappoint. 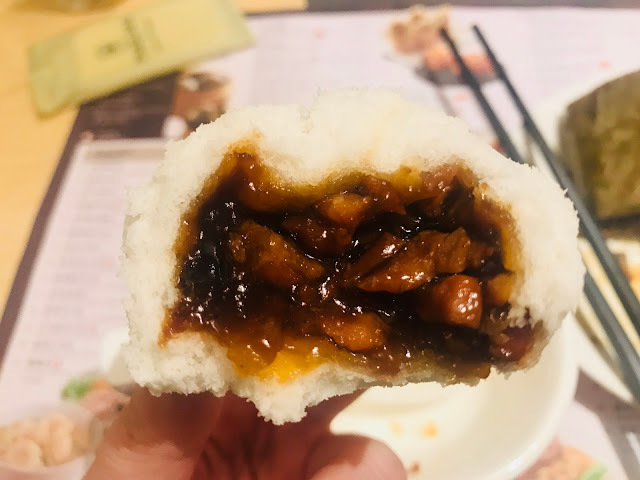 The soft and fluffy bao skin holds in barbecue-flavoured pork that has the perfect balance between sweet and savoury. 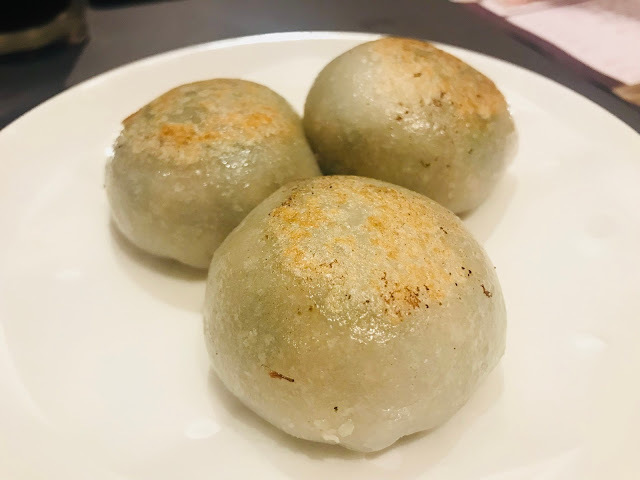 Steamed “Teochew” Dumpling [$5 for 3 pieces] is not your usual dim sum, but it is definitely worth a try. Various chopped vegetables are wrapped in a crystal glutinous skin and pan-fried. The skin is slightly chewy, soft on the inside and slightly crispy on the outside. The vegetable filling is refreshing and tasty. 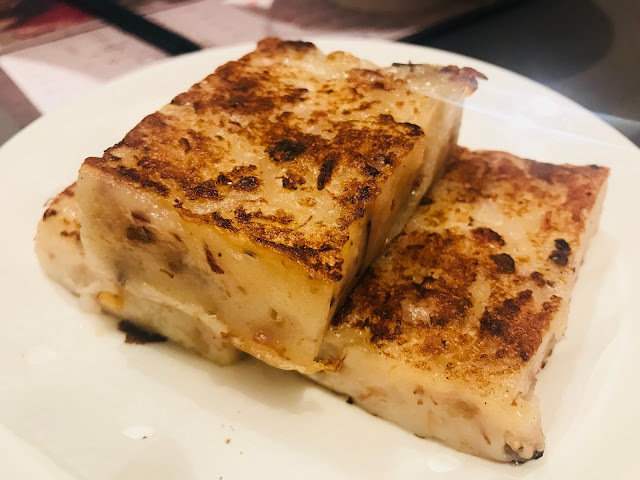 Pan Fried Carrot Cake [$5.30 for 3 pieces] is the Hong Kong style of making carrot cake where Chinese sausage, mushrooms and dried shrimps are added to give the otherwise plain carrot cake a more robust flavor. 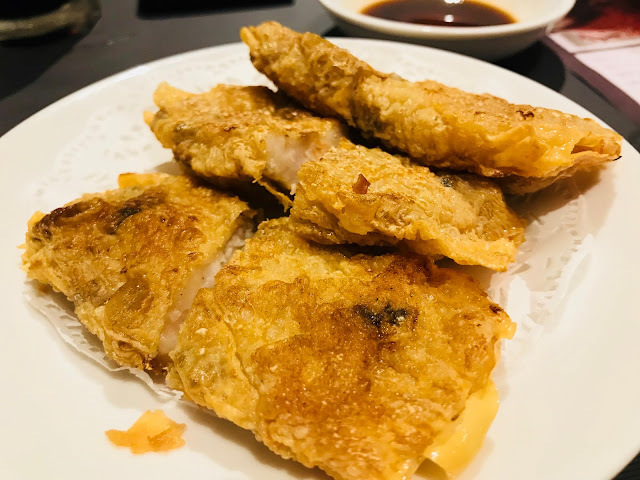 Deep Fried Beancurd Skin Roll with Shrimp [$6.30] is very similar to Mouth Restaurant’s Pan Fried Beancurd Skin Roll but the minced prawn just does not have the same crunch as the whole piece of prawn in Mouth Restaurant’s version. I am not a fan of yam but this Deep Fried Yam Puff [$5.30] is an exception. The yam has been made into a paste and deep-fried, it’s not as heavy as a whole piece of yam and the seasoning gives it a slight sweetness. 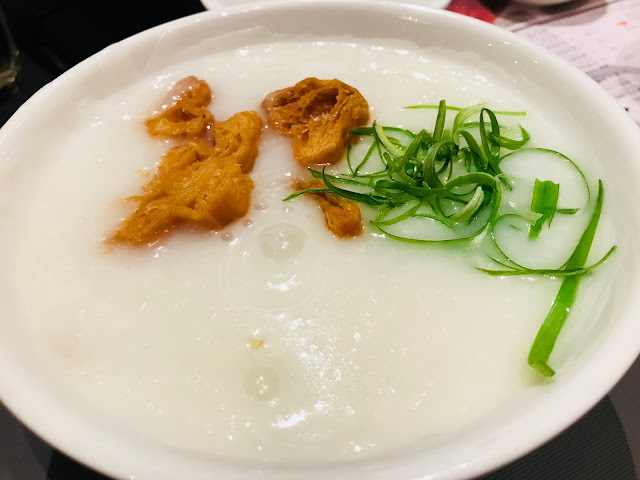 Century Egg & Lean Meat Congee [$9.30] is one of the most classic of Cantonese congee. The rice grains have been almost totally broken down during the long hours of cooking, it becomes almost goo-like. Add in the pieces of lean pork and century egg and you have yourself a warm and comforting bowl of congee. 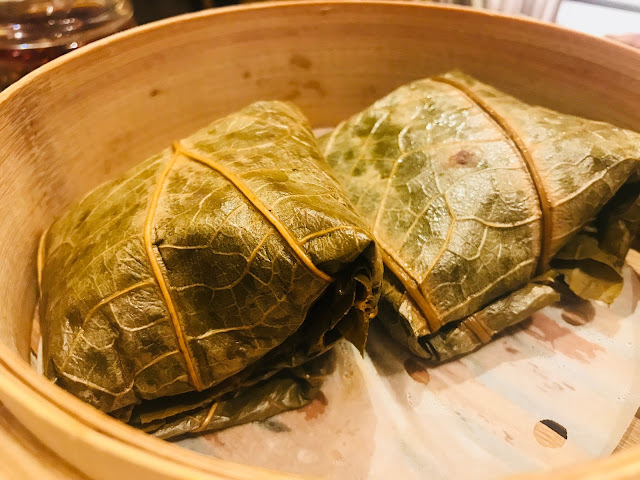 Treasures Yi Dian Xin offers 10 different types of vermicelli rice roll, from Steamed Rice Roll with BBQ Pork to Hong Kong Style Steamed Rice Roll with Sesame and Sweet Sauce. The one I have here is the classic version Steamed Rice Roll with Shrimp [$7]. The steamed rice roll is not as soft and silky as Swee Choon Tim-Sum Restaurant’s but it’s alright. 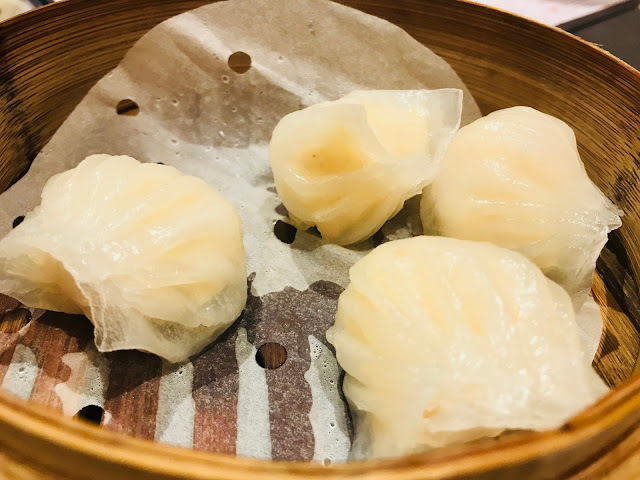 While Treasures Yi Dian Xin loses to Mouth Restaurant on the quality of some of the dim sum dishes, I am amazed at the efficiency of the staff and the speed the dishes are served, even during the lunch rush-hour. 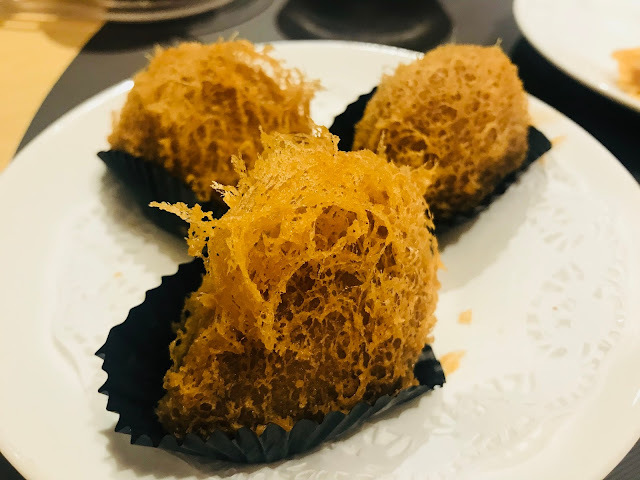 Besides dim sum, Treasures Yi Dian Xin also serves many other detectable Hong Kong delicacies such as Cantonese noodles and hor fan, side dishes such as Marinated Beef Shank and Century Egg with Pickled Ginger, rice dumplings and roasted meats. 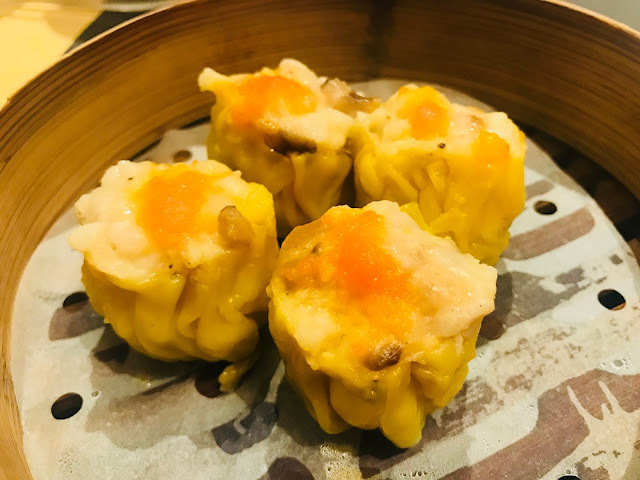 If you are into dim sum, another restaurant you should check out is Red Star Restaurant, one of the oldest dim sum restaurants in Singapore. Eat at Seven: Tsuruhashi Fugetsu – Famous Osaka Okonomiyaki Restaurant is Here in Singapore!